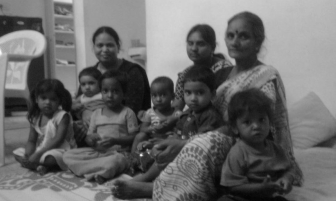 To create a safe, positive, and nurturing haven for underprivileged children (< 5 years) to enable early emotional, physical and cognitive development, while their mothers work towards their future. "Nurture, Protect and Love children right from birth - a strong foundation paves way to a progressive society"
HOW DOES IT ALL ADD UP! ​We maintain a customized activity sheet for every child based on the child age and interests. This activity sheet comprises of tasks such as drawing exercises, learning alphabets, spellings or just playing an interesting game. The activity sheet is monitored by the staffed manager at the center. What do the mothers say!